To claim this profile, please confirm you are Hannah Biju. To follow this profile, please let us know your relationship to Hannah Biju. Hannah's basketball stats have been updated for the loss @ Bassett. RESULTLoss Girls varsity basketball @ Bassett. The Faith Baptist varsity basketball team lost Thursday's away non-conference game against Bassett (La Puente, CA) by a score of 63-25. This game is part of the "2019 CIF Southern Section Ford Girls Basketball Playoffs - Division 4A" tournament. Hannah's basketball stats have been updated for the win @ The Palmdale Aerospace Academy. RESULTWin Girls varsity basketball @ TPAA. The Faith Baptist varsity basketball team won Thursday's away conference game against The Palmdale Aerospace Academy (Palmdale, CA) by a score of 52-16. Hannah's basketball stats have been updated for the loss @ Rio Hondo Prep. RESULTLoss Girls varsity basketball @ Rio Hondo Prep. The Faith Baptist varsity basketball team lost Tuesday's away non-conference game against Rio Hondo Prep (Arcadia, CA) by a score of 55-34. Hannah's basketball stats have been updated for the win vs. Triumph Charter. RESULTWin Girls varsity basketball vs. Triumph Charter. The Faith Baptist varsity basketball team won Monday's home non-conference game against Triumph Charter (Sylmar, CA) by a score of 49-6. 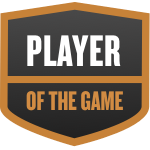 Hannah was selected the Player of the Game in the basketball game against Lancaster Baptist on Fri, Jan 25 2019. Hannah's basketball stats have been updated for the win @ Lancaster Baptist. RESULTWin Girls varsity basketball @ Lancaster Baptist. The Faith Baptist varsity basketball team won Friday's away conference game against rival school Lancaster Baptist (Lancaster, CA) by a score of 41-14. RESULTWin Girls varsity basketball vs. SCCHS. The Faith Baptist varsity basketball team won Thursday's home conference game against Santa Clarita Christian (Canyon Country, CA) by a score of 43-36. Hannah's basketball stats have been updated for the win @ Vasquez. RESULTWin Girls varsity basketball @ Vasquez. The Faith Baptist varsity basketball team won Tuesday's away conference game against Vasquez (Acton, CA) by a score of 43-28. Hannah's basketball stats have been updated for the loss vs. Trinity Classical Academy. RESULTLoss Girls varsity basketball vs. TCA. The Faith Baptist varsity basketball team lost Saturday's home conference game against Trinity Classical Academy (Valencia, CA) by a score of 39-36. Hannah has been added to the Faith Baptist volleyball roster. Hannah's basketball stats have been updated for the loss @ Trinity Classical Academy. RESULTLoss Girls varsity basketball @ TCA. The Faith Baptist varsity basketball team lost Tuesday's away conference game against Trinity Classical Academy (Valencia, CA) by a score of 41-30.